This weekend, share this message on Facebook, for a chance to win a signed trade paperback of Twenty-Eight Teeth of Rage by Ennis Drake. 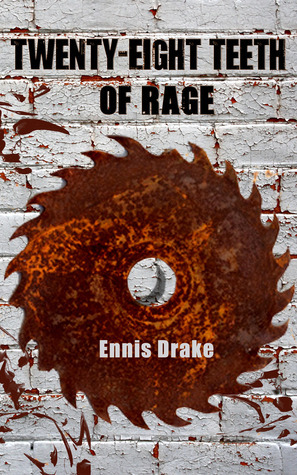 "28 Teeth of Rage has the bite of a crocodile. Drake tears a hole right through modern horror. This guy isn't on the way; he's kicking in the door." — Laird Barron, award winning author of THE IMAGO SEQUENCE, OCCULTATION, and THE CRONING.